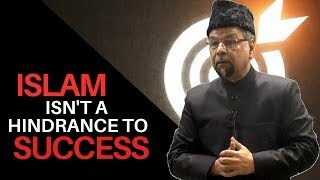 Do you want to be successful in this world and the next? Following the guidance given by Allah in the Holy Quran will ensure that you do succeed. It may seem that all of us have a lot of time on our hands, however, ‘by time, Indeed, mankind is in loss’ (103:1-2). Therefore, we must own up the need of the hour and embrace our duties wholeheartedly. Allah has defined the responsibilities of mankind in the Holy Quran. Individuals have been prescribed the duty of worshipping and serving Allah. Similarly, the Ummah has been prescribed the duty of assisting mankind. The Quran emphasizes that the Ummah must be beneficial for all of humanity. The status of an Ummah is that of an organization which must meet specific goals and objectives. Will a people that neglect these goals and objectives qualify as an Ummah in the eyes of Allah? Obviously not. Without actions, our claims stand futile. Therefore, to reflect on our current situation is essential. While we take pride in addressing ourselves as an Ummah, do we do the needful? If we do not fulfill our responsibility to benefit others, will claiming the title of Ummah do us any good? Anyone or anything that is good for humanity prevails on earth. An ayah highlights this universal principle ‘..that which is for the good for mankind remains on the earth.’ (13:17). Moreover, it can also be inferred that those who fail to benefit humanity fail to remain on the earth. The Messenger of Allah treated others with love, kindness, and compassion. Allah sent the beloved Prophet Muhammad as an example for mankind to follow. The Prophet Muhammad has been presented as a blessing for people. It is even mentioned in the Quran that ’We have not sent you, [O Muhammad], except as a mercy unto the worlds.’ (21:107). Therefore, every moment of Prophet Muhammad’s life was a manifestation of mercy unto the worlds. The primary responsibility of Prophet Muhammad was to preach the message of Islam. This act of preaching and inviting others to the right path is known as ‘Dawah’. Before the advent of Islam, Arabia suffered from great immorality and corruption. Due to the effective and sincere campaign of the Prophet, the social fabric of the region changed. Vices were replaced with virtues and violence was replaced with peace. Have you ever wondered about the definition of a true follower of Prophet Muhammad? Being the follower of Prophet Muhammad means that you too must preach the message of peace. Being the follower of Prophet Muhammad implies that you too make much sincere efforts for righteous causes. In simpler words, you need to improve the lives of those around you. Prophet Muhammad referred to one of the companions as the messenger of the Messenger of Allah in a Hadith. As an Ummah, we are the followers of the Prophet, and we too must become the messenger of the Messenger of Allah. Since no new Prophet will appear, the followers of Prophet Muhammad (PBUH) are liable to preach his message. The Ummah is of utmost importance in this regard as it must be beneficial for humanity. If we do not fulfill our responsibility as an Ummah and remain heedless, we will face the consequences. An organization that does not fulfill its goals and objectives is practically dead. Since Allah will not let the Ummah die out, a warning of substitution exists in the Holy Quran. An ayah states that ‘…if you turn back, He will bring in your place another people, and they will not be like you.’ (47:38). Allah will make sure that a group of people works for the welfare of mankind. This substitution of people is heavily mentioned in the Word of God and the Prophet’s sayings. Therefore, being replaced by another people is not beyond the bounds of probability. We have been warned, and if we do not take charge, we will ultimately suffer. One ayah emphasizes that ‘If you do not march for His cause, He will afflict you with a painful punishment and replace you with another people and your (destruction) will not harm Him at all. God has power over all things.’ (9:39). 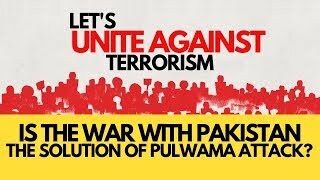 It is time to introspect and evaluate if we stand any chance against such an ordeal? Who could these people be? Allah has even described these people that will replace the Ummah. An Ayah clarifies that ‘O ye who believe! If any from among you turn back from his Faith, soon will Allah produce a people whom He will love as they will love Him’ (5:54). Who could these people be who will be loved by Allah and who will replace the Ummah? Naturally, curiosity regarding these people arises. It is no surprise that this curiosity has actually existed since the Prophet’s time. There are even various traditions related to this matter. Some Ahadith indicate that these people will originate from Persia or modern-day Iran. Other Ahadith indicate that these people will originate from Yemen. While the answers may appear to contradict each other, there is an explanation that links them both. The Prophet’s answers do not refer to the citizens of Yemen or Persia but relates to the races. To decipher the identity of these people, we must locate the region where both races exist simultaneously. Historians believe that the Aryan race migrated to India from Persia. In fact, the term “Aryan” is still used by Indian nationalists and Iranian nationalists to refer to themselves. Not only do Iranian people and Indian people share an ethnic label known as ‘Aryan’ but they also share a linguistic background. The ancient Persian language Old Avestan is quite close in grammar and lexicon with the Vedic Sanskrit. The Aryan race originating in Iran exists in India too. While the people of Iran belong to the Aryan race, which race do the people of Yemen belong to? During the life of the Prophet, large tribes of Dravidians and Sindhis lived in Yemen. According to historical evidence, many ancient settlers of Yemen originated from the Dravidian race of South India. The remains of several forts with the name of Hind, Hinda and Sham still exist in Yemen. This historical evidence is indicative of the link between the people of Yemen and the Dravidian race. Hindus themselves are a combination of the Sindhi race, the Dravidian race, and the Aryan race. The term Hindu was originally a geographical term and did not refer to a religion. According to several scholars, “The actual term Hindu first occurs as a Persian geographical term for the people who lived beyond the river Indus (Sanskrit: Sindhu).”. Similarly, the Arabs referred to the people who live across the River Indus as al-Hind. The UN states that Hinduism has the third largest population in the World. Traditionally, the term Hindus referred to the people of the Indian subcontinent. However, today the term Hindus is used to refer to the followers of Hinduism which is a composite religion that includes various types of belief systems within it. Both the races that were declared by the Prophet have come together as modern-day Hindus. While the prophecies of the Holy Prophet appeared contradictory at first, they turned out to be true. There are enough indications to suggest that Hindus will collectively accept Islam as their religion. In a collectivist nation like India, social relationships are highly important and can significantly impact the quality of life. Individual conversions are not a permanent solution for India. When an individual decides to leave his religion to follow Islam, he is met with severe opposition from his social circle here. He ends up losing job prospects and becomes unable to find a wife. Instead of focusing on individual conversion, the Ummah should preach to the masses. If there is en masse conversion in India, issues of livelihood and marriage will not arise. While the concept of en masse conversion seems far-fetched, it is not unheard of in history. In the thirteenth century, an entire people known as Mongols collectively accepted Islam. The irrefutable word of God declares that ‘…if you turn back, He will bring in your place another people, and they will not be like you.’ (47:38). 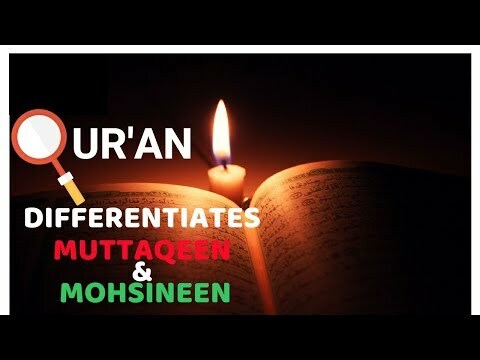 The Quran categorizes people in different ways. One way to categorize people is as the former and the later people. The following ayah demonstrates this: Say, [O Muhammad], “Indeed, the former and the later peoples are to be gathered together for the appointment of a known Day.” (56:49-50). It is important to determine the time when people are no longer considered as the former people. While the two categories are explicitly specified, there is still a need of inspecting them to understand who these former and later people exactly are. 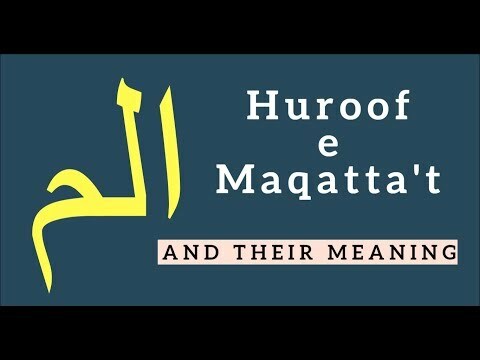 Another interesting categorization is mentioned in Surah Al-Waqiah where it is mentioned that ‘…you shall be sorted out into three classes.’ (56:7). These classes include the companions of the right, the companions of the left and the foremost. ‘The companions of the right…’ (56:8) are the ones who will earn their way to heaven. They will be a ‘company of the former people, and a company of the later people.’ (56:39-40). In other words, a large amount of the former people and a large amount of the later people will join heaven. On the other hand, ‘the companions of the left…’ (56:9) will be ‘…burning in hell-fire.’ (56:94) because they denied the truth and did wrong. The third group is identified as the foremost. The Quran states that ‘the foremost (in faith) are the foremost (in faith), they (are) the nearest ones (to Allah) in the gardens of bliss.’ (56:10-12). Moreover, ‘it is they who hasten toward good deeds, and are foremost in them.’ (23:61). The most intriguing information we have of this group is that they will be ‘a large group of the earlier people and a few of the later ones’ (56:13-14). The large group of the earlier people has been identified in the following ayah: ‘And as for the first and the foremost [in the faith] among the Muhajireen and the Ansar and those who followed them with good conduct – Allah is pleased with them, and they are pleased with Him, and He has prepared for them gardens beneath which rivers flow, wherein they will abide forever. That is the great attainment.’ (9:100). 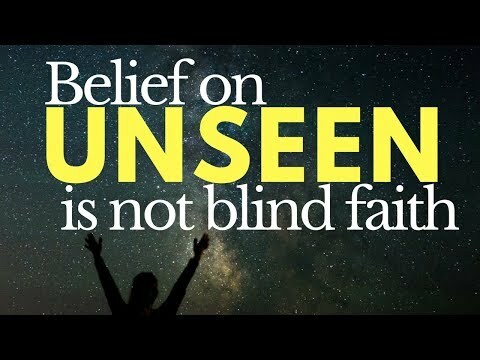 While the first and foremost in faith have been identified, the question regarding the ‘few of the later ones’ who are foremost in faith remains. There must be some partition between the two groups; the ‘former’ and the ‘later’ people. It is very well possible that we have the chance to be the foremost in faith in the later people. Would you want to miss out on a chance to be the ‘the nearest ones (to Allah)’? 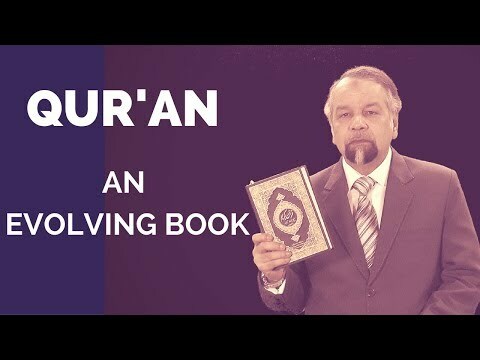 Figuring out the end of one The Quran sheds light upon this matter for those who are willing to pay attention. The Quran clearly mentions that ‘Allah regulates the affair from the heaven to the earth; then shall it ascend to Him in a day the measure of which is a thousand years of what you count.’ (32:5). This means that the system that Allah has placed from the heavens to the earth is accounted for every thousand years. These thousand years are referred to as a Day. People often inquired when the promise of Allah would be fulfilled. They ask, when will this promise be fulfilled, if you are truthful? Say: “The appointment to you is for a Day, which ye cannot put back for an hour nor put forward.” (34:29-30). This Ayah indicates that it will take a ‘Day’ or a thousand years for the promise to be fulfilled. Some individuals eagerly challenged the Prophet to ask Allah to fulfill his promise there and then. This ayah relates to this matter ‘They challenge you to hasten the torment. And Allah will never fail in His promise. But a day with your Lord is indeed like a thousand years by your counting.’ (22:47). It is confirmed that the torment will occur after a thousand years. While one ayah speaks about torment after a thousand years, two Hadiths mention a delay. The Prophet (ﷺ) said: I hope my community will not fail to maintain their position in the sight of their Lord if He delays them half a day. 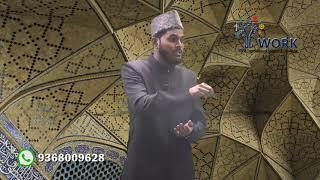 Sa’d was asked: How long is half a day? He said: It is five hundred years. (Sunan Abi Dawud 4350). On another instance, The Prophet (ﷺ) said: Allah will not fail to detain this community for less than half a day. (Sunan Abi Dawud 4349). Collectively the Ayahs and Hadiths suggest that the community has a term of 1500 years after which they will be accounted for. While communities are generally given a day (the measure of a thousand years) to fulfill the duties assigned by the Creator, the Muslim Ummah was granted a special reprieve. This favor that has been granted to the Ummah is just a delay, and hence the Ummah should be alert. In fact, the Ummah must strive to fulfill their duties. The promise will come true after 1500 years but from which point? Two possibilities exist. Either the day the Prophet was born, or the day the Prophet received the first revelation is the starting point. If we consider the Prophet’s birth as the starting point, the term ends at 2026 and if we consider the first revelation as the starting point the term ends at 2066. Let’s have a look at the situation in India. A string of mob lynchings has been reported in recent years. In 2018 alone, there were more than 38 mob attacks on individuals who according to rumors had sold, bought, or killed cows for beef, 10 of these individuals were killed during the year. One case that particularly shook the nation was the 2015 Dadri Mob lynching. In this case, a mob of villagers attacked the home of a 52-year old Muslim man, Mohammed Akhlaq, with sticks and bricks ultimately leading to his death. It was later revealed via two forensic reports that the supposed ‘beef’ was actually mutton. Post the Dadri Mob lynching, playing politics over the ‘holy cow’ has become more mainstream. Since then, cow vigilantism is being used as a tool to terrorize Muslims. Apart from cow vigilantism, the concept of ‘love jihad’ is also being used to curate a negative sentiment against the Indian Muslim population. According to data analytics site IndiaSpend, there have been more than 125 cow-related violence incidents which led to 46 deaths between 2012 and 2018. Unsurprisingly, most of the victims were Muslims. The bitter reality is that India is moving towards fascism. Once India becomes a ‘Hindu Rashtra’ discrimination against non-Hindus, and the denial of their rights will become more rampant. In the future, we will witness a one-party rule where the ‘nation’ or the ‘race’ will be above any given individual. In such a dictatorial rule the individual citizen has no guaranteed rights. History itself is a testament to the fact that in fascist societies the slightest of opposition is not tolerated by the state. The fascist government tries to control all areas of life, including work, school, and family life. They ensure that national sentiment stays alive so that they can rule without having to face any sort of uprising. In such a fascist system it is normal to be arrested or killed without a fair trial. Saying the wrong thing or opposing the wrong person may lead to death. Isn’t it obvious that a greater punishment is approaching the community at large? Those who fail in fulfilling their duties will perish. An ayah highlights this, ‘O Messenger, announce that which has been revealed to you from your Lord, and if you do not, then you have not conveyed His message. And Allah will protect you from the people. Indeed, Allah does not guide the disbelieving people.’ (5:67). Those who wish to save themselves must convey the Message of Allah to others. However, an ayah also clarifies that only the evildoers or Zalimoon will face the imminent torment. The Quran commands us to say, “Consider this, what if the punishment of God should come to you suddenly or gradually? Would anyone but the evildoers be destroyed?”(6:47). 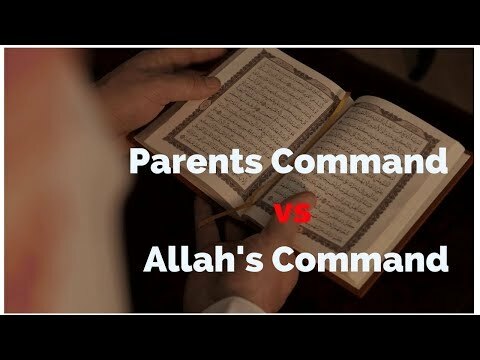 To qualify as Zalimoon, first, the people must receive guidance by a messenger (28:59) and secondly the same people must be deferred for a specific term (16:61). If they do not pay heed to the Divine message, they will qualify as Zalimoon and will indeed be destroyed. 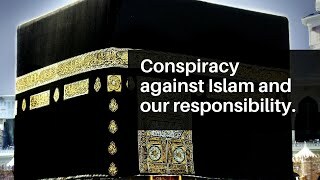 The reason why people are not punished for their wrongdoing prior to receiving the message ‘is because your Lord will not destroy any towns unjustly while their people are heedless.’ (6:131). The message of Allah should be communicated and explained in a beautiful manner. When wisdom is used to explain the magnificent Word of Allah, everything will make sense to others and connect with them. The Quran instructs: ‘invite people to the way of your Lord with wisdom and kind advice and discuss with them in the best manner.’ (16:125). Allah gives many verses on a particular topic over and over again to assure that people understand the Divine Message completely. Instead of being impatient with others and explaining the message half-heartedly we should strive to preach with more elegance and compassion. The Ummah’s actions will be accounted for when the Promise of Allah comes true. There are clear indications that this Promise of Allah will come true at the conclusion of 1500 years on either 2026 or 2066. We must make necessary efforts to maintain our position in front of our Lord. Those who fail to fulfill their responsibilities face torment in this world and the next. 2026 is just around the corner and we as an Ummah need figure out whether we can afford ignoring our duties. We must mend our ways and turn back to the cause of Allah. The responsibility of spreading the message of Allah rests on the Ummah’s shoulder. It is time that we wake up and take a stand. It is now or never. Maulana Nadvi lost the battle but won the War.